If you experience technical difficulties when trying to register for an event, please call 320.308.2244 for assistance. 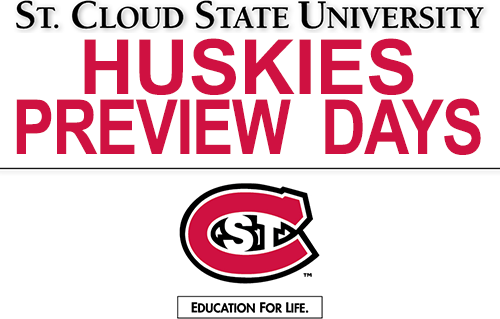 The Huskies Preview Days are designed especially with First Year and Transfer Students in mind! This is a great opportunity for you to tour the campus, learn more about the admission process and connect with campus departments including: Admissions, Advising & Student Transitions, Residential Life, Financial Aid, Honors Program, and much more! You will have an opportunity to submit your application and get your fee waived! Residential life housing tours will be available including our high amenity Coborn Plaza Apartments! We look forward to seeing you at this event. Join us for a session designed to introduce you to our Nursing Program. This is a great opportunity for prospective students to learn more about the pre-admission coursework, the application process, and the Early Admission program. 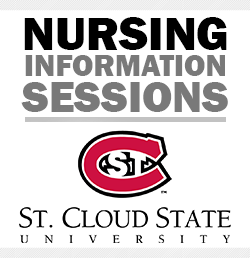 The session will be followed by a campus and nursing simulation lab facilities tour.